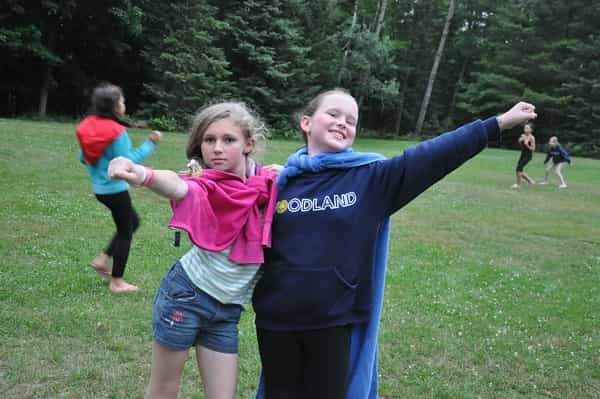 Woodland (and Towering Pines) is in the midst of designing a new camp brochure – let’s just say that it was time to update the old one! I have to admit that this process hasn’t been as easy as I thought it would be back in the fall when we embarked on this project. 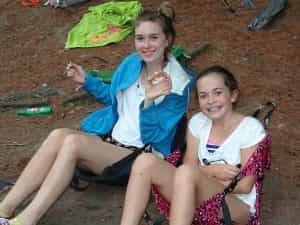 I guess I thought that we would select some of our best photos from recent summers and then provide the details of the what, when, and where, and how of camp. BAM – new brochure off to press! When we began working with Chuck (brochure guy) to create an stand-out printed piece, we were asked to think about what sets Camp Woodland/Towering Pines apart from other summer camps. So, we started putting our heads together to answer that question. Does it have something to do with the location? We decided that many traditional residential camps are situated in a beautiful, natural setting with trees and a body of water. Maybe it is the activities we offer? 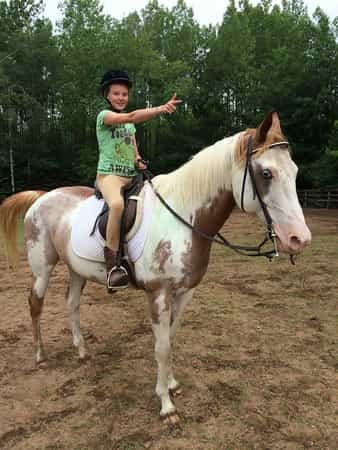 It is no secret that horseback riding, arts and crafts, and tennis are a routine part of the program at many different camps. Could it be the songs we sing or the skits we do at campfire? Perhaps it has something to do with Dan’s homemade pizza or taco bar?! (A DEFINITE possibility!) What about the people at Woodland? It goes without saying that Woodland has the BEST staff and campers around! So, what is it that sets Woodland apart? We finally realized that the question then became, WHY? 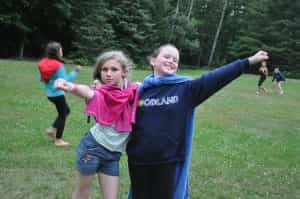 WHY do we do what we do at Camp Woodland? This became a much more interesting (and challenging) question to ponder! We felt pulled in the direction of looking more closely at the intentionality of the 6 themes for each week of camp as a place to start. BINGO! This is what Chuck said would make Camp Woodland stand out from other summer camps. He was extremely intrigued by how everything we do is purposeful by design. (Which means that we take the business of youth development seriously!) 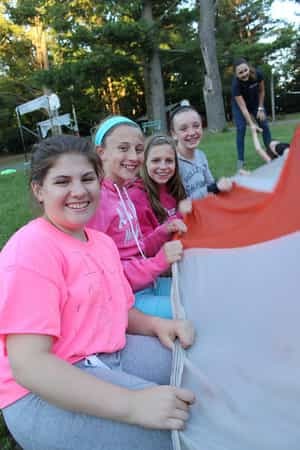 From the moment each camper arrives to the time she packs her bags to head for home, the Woodland experience is precisely what is needed at any given point in a child’s growth process. How in the world do we communicate this in a brochure?! GREAT question! We decided to condense our 6 weekly themes (cabin unity, communication, problem solving, trust, sportsmanship/teamwork, and achievement) to align with the overarching goal of each 2-week period. There is a definite beginning, middle, and end to the Woodland experience in order for the entire program sequence to come together. The initial 2 weeks is a time for each camper to ACCLIMATE and adjust to her new summer home. 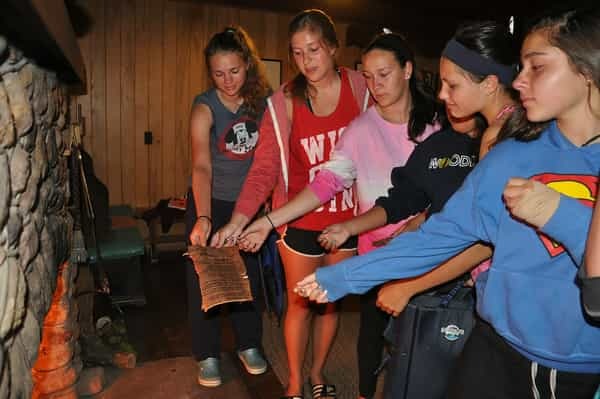 There is “comfort in the familiar” during this period; a lot of time is devoted to helping campers learn the routine and bond with the cabin group. 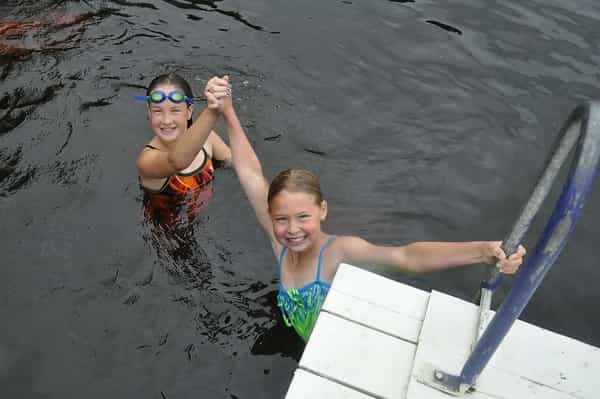 Campers may select activities at first that have been tried at home or school. The framework for the rest of the summer starts here! The middle 2 weeks is a camper’s time to ACCELERATE because now that she feels comfortable, she is ready to explore and expand her world. This may mean trying something new or striving for mastery in a favorite activity. This is the period when the real work of camp happens. Campers are challenged to come together and work towards achieving a common goal whether it be going on a cabin overnight or preparing for the annual Song Contest. And, finally, the pinnacle 2 weeks of camp is a time to CELEBRATE the personal growth that has occurred through numerous achievements and accomplishments. Camp is a BLAST during the last two weeks because of the effort that was put in the weeks leading up to this point. 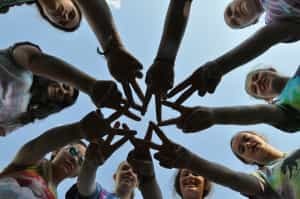 Campers stand a little taller, friendships are stronger, confidence is higher, and memories are stamped as unforgettable. Woodland spirit is at an all-time high during the final days of camp! While we aren’t quite ready to send our brochure to press just yet, we are excited for you to see it! Until then, please join us at a location near you as we travel to meet new members of the Woodland family for the summer 2015! See you SOON!